Banyule Flats is a reserve for vegetation, wetlands, wildlife and recreation, located to the north of the Yarra River in Viewbank, an eastern suburb of Melbourne, Victoria. This is Wurundjeri country. Banyule Flats Reserve is particularly popular for walking, bike riding, and birding. More information is available at https://www.banyule.vic.gov.au/Services/Parks-and-Facilities/Banyule-Flats-Reserve. Header image: Tawny Frogmouths can usually be found without too much trouble. 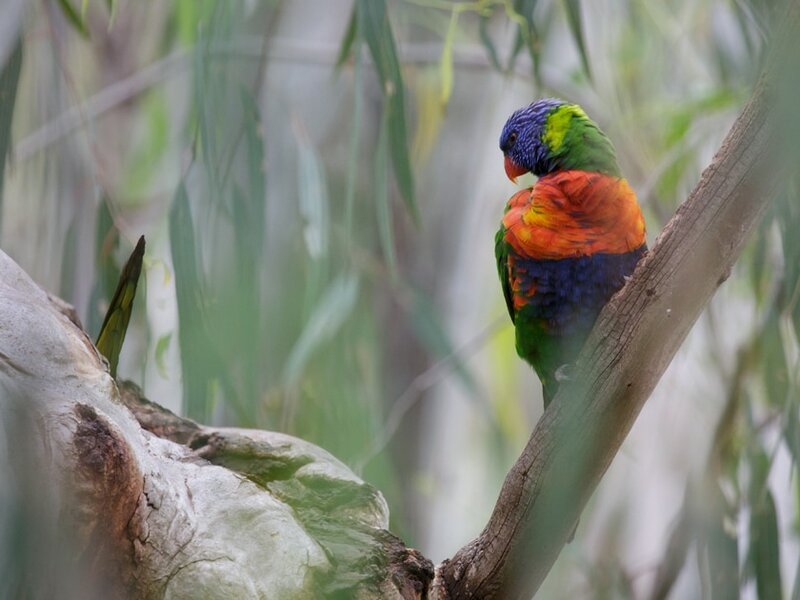 Members of the BirdLife Melbourne ﻿Photography Group﻿ visited Banyule Flats and Wilson Reserve on this middle-of-summer day. The early morning at Banyule was cool with thick cloud and mosquitoes. As the day progressed, the cloud thinned and patches of blue sky appeared. With the sun shining warmly at Wilson Reserve in the afternoon, sightings of birds and other wildlife increased. The mosquitoes continued to do what they do. 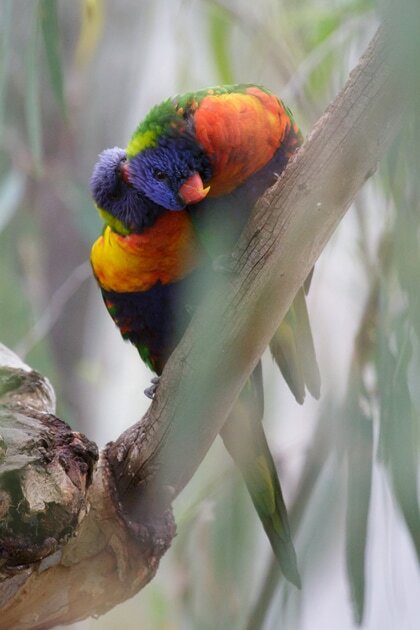 Two Rainbow Lorikeets Trichoglossus haemotodus inspected a hollow in a eucalypt then engaged in mutual preening above where the dark waters of the Plenty River mixed with the pale brown, silt-laden Yarra. 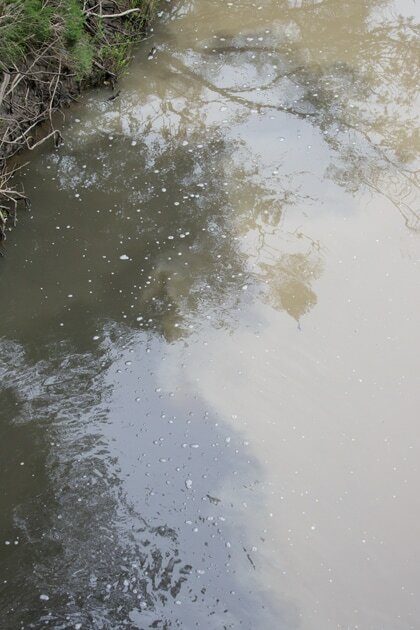 Recent rain has no doubt contributed to the amount of silt in the latter. 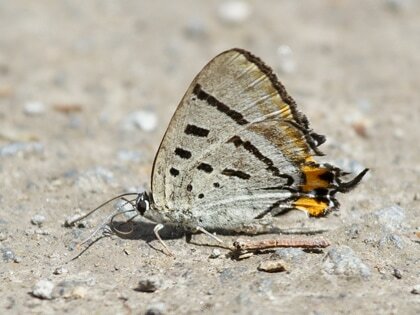 Imperial Hairstreak / Imperial Blue butterfly Jalmenus evagoras out in the sunshine. 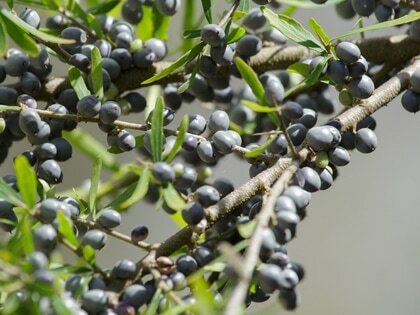 Many insects on the Brisbane insects website also occur in other places, including Victoria, making it a very useful resource. Leaf-curling Spider Phonognatha sp with four legs out of the curled leaf and with claws touching the web ready to feel any vibration when something is caught. 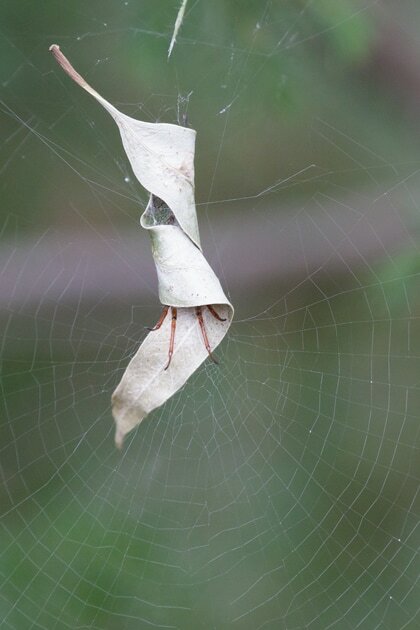 Interesting information about this group is at https://australianmuseum.net.au/leaf-curling-spider. 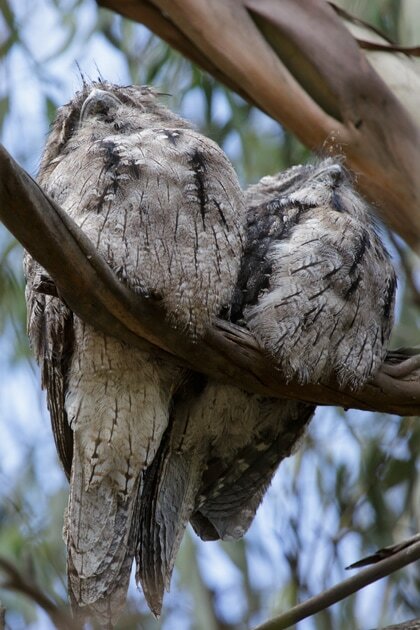 Tawny Frogmouths Podargus strigoides rest on a branch, as in the photo, or in a fork of a tree during the day and forage at night. For information about their identification and behaviour see http://www.birdsinbackyards.net/species/Podargus-strigoides.